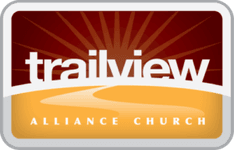 At Trailview Alliance Church, we believe prayer makes a difference. We believe in the power of Prayer! How can we pray for you this week? Do you have an answer to Prayer? We want to know! Part of our vision at Trailview is Encountering Jesus. We believe this happens in part through the power of prayer. Generally the first Sunday of the month at 6:30pm, excluding July and August. Starts Tuesday, January 22, 2019 at 7pm and runs on Tuesdays for 6 weeks.